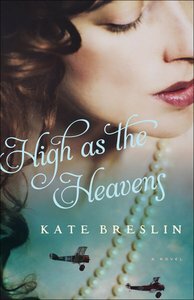 About "High as the Heavens"
A Florida girl who migrated to the Pacific Northwest, Kate Breslin was a bookseller for many years. Author of several travel articles, award-winning poet, and RWA Golden Heart finalist, Kate now writes inspiring stories about the healing power of God's love. She lives with her husband in Seattle, Washington. Learn more at www.katebreslin.com.